Stieg Larsson's Millennium Trilogy has been planned to be a series of ten books but due to Larsson's death only the first three novels have been completed. The trilogy is about Lisbeth Salander, a troubled young woman with great computer hacking skills and Mikael Blomkvist, a journalist and editor of Millennium, a magazine with an inclination towards criminal investigations. The trilogy is comprised of the books Män som hatar kvinnor (Men Who Hate Women), Flickan som lekte med elden (The Girl Who Played with Fire) and Luftslottet som sprängdes (The Air Castle That Blew up). The titles that have been used for publishing the books in English are The Girl with the Dragon Tattoo, The Girl Who Played with Fire and The Girl Who Kicked the Hornets' Nest and I am going to use mostly them while reviewing the Swedish films based on the Millennium trilogy below. The first book of Stieg Larsson's bestselling novels has already been filmed twice. The future will show whether it will be the best installment in the American version of the series but it is clearly the most successful effort of the three Swedish movies. This could be due to the still fresh introduction of the two unknown and unconventional main characters or it could be attributed to the quality of the plot. Either way The Girl with the Dragon Tattoo is the most shocking, thrilling and accomplished film in the Swedish adaptation of the Millennium trilogy. In the first installment of the series, Salander and Blomkvist investigate a 40-year-old case of a missing woman and some shocking events related to it. In parallel, we are introduced to the dark side of Lisbeth's past and present existence. Lisbeth Salander's outward fragility and unrestful sleep combined with her formidable composure and uncanny attractiveness disarm you and involve you in the story with ease. Noomi Rapace seems like the perfect choice for the role of Lisbeth but Michael Nyqvist is also a very good cast for the part of Mikael Blomkvist. He is really believable in the skin of the determined and honest Millennium journalist. Even the look of his blue eyes helps a lot. We should also note that the rest of the actors sport great supporting performances. The film is easily recommendable for either viewing it on its own or as a part of the trilogy. It is also a good reference to compare the recent American release with. The second installment in the Swedish film adaptation of Stieg Larsson's Millennium trilogy is probably the weakest of the three movies. One of its issues is that Lisbeth Salander becomes a main subject of the investigations in the film and this somehow limits the story and makes it more predictable. Another weaker point is related to the increased improbability of the narrative. There is a good deal of events that won't make you agree with the filmmakers' decisions, especially at the times when a big blonde guy called Ronald Niedermann copes (or not) with his victims and Lisbeth. Finally, some of the violent scenes lack an appropriate atmosphere. The story could still be considered interesting but it is not delivered on the same quality level as the first part. The movie does not stand good on its own cause it is closely related with the third film and practically does not have a clear ending. Thus it is not advisable to see only the second piece of the trilogy. Either go for the entire series or just skip this one. Since it continues the subplot of the second film, the third installment in the Millenium series shares some of its defects as well. The story still revolves around Lisbeth Salander and hence suffers from the limitations of the previous movie. The unlikeliness of the narrative is not quite striking though and the film offers a few highlights (in addition to Noomi Rapace new hair-style). For example, the scenes in the court are likeable although a little bit artificial. The main issue with the third installment is that it lacks actual climax and the court trial directly offers the practical denouement. There is a final confrontation, which is probably intended to compensate the aforementioned lack of climax but in fact, this clash sequence is not fitted very well into the narrative. The Girl Who Kicked the Hornets' Nest is slightly better than its predecessor but still it is not as good as the first film and it is not suitable enough for a separate viewing. Consider it only as a part of the whole Millenium trilogy. It is good to observe that the first part of the Swedish adaptation has been directed by Niels Arden Oplev while director Daniel Alfredson has made the next two films of the Millennium trilogy. This fact has surely left some mark on the creation of the series. My advice is to either see only The Girl with the Dragon Tattoo or the entire Millennium trilogy. Choosing just the second and/or the third movie is not a good option. I have always wondered what motivates web hosting companies to offer big affiliate commissions. And I have never found a good answer. The most probable explanation I have been able to think of is that hosting services actually do not pay for every sale an affiliate refers. Instead they just pay a commission for, e.g., one out of three or one out of five sales. In the course of time it has appeared that my thoughts have been right. Most of the hosting companies (if not all of them) avoid paying for each customer their affiliates refer. The differences between the various providers are mainly in the way each web hosting affiliate program accomplishes this "goal". I am going to write about my experience with three of the most popular web hosting providers among affiliate marketers. Advertising high commissions have enabled these hosting companies to offer some of the best affiliate programs in the eyes of the publishers. What my experiment shows though is you should not trust these companies. And since you cannot trust them in regard to their affiliate programs I am not sure they can be trusted in respect to their hosting services either. Note that all of the described events below have happened through Commission Junction's affiliate network but I do believe CJ is not involved in the "cheating". I have already used a dozen or two of affiliate programs and I have never had any major problem with any of them except for the hosting companies. I try to test somehow each program before investing much time or money in it. I usually do this with just a small exposure first without putting too many resources into it. Sometimes if there is a friend of mine wanting to purchase a service or a product I decide also to recommend him something through an affiliate program if I think there is a suitable offer in that moment. And I actually explain this to my friends so they are aware I would get a commission. So it happened I was able to test three hosting companies this way. They were HostGator, BlueHost and FatCow and unfortunate for them I was aware they owed me particular commissions. I have already written about the case with FatCow's affiliate program here so I won't go deep into details. FatCow.com offers a relatively cheap web hosting and good affiliate commissions. In periods of promotions the commissions are so high and hosting prices so low that FatCow are actually going to need three or even more years in order to get the money they've paid for a commission back. There is not any guarantee a client will stay with them for years so practically FatCow can lose a lot of money if they pay correctly for every commission. So after losing 4 of my 5 commissions with them (as explained in the referred article), here is my opinion about their affiliate game. When you make a sale for them, FatCow list it under your CJ's reports. Later they cancel it. Thus you do not get the commission paid but FatCow probably list the sale initially with the idea to become a 5 green bar advertiser. There is an indicator on Commission Junction based on the volume of commissions paid by each advertiser. By listing sales they actually cancel later, I suppose FatCow aim at higher ranking in regard of this indicator. I could be wrong but what is their real purpose does not have such big importance anyway. So to recapitulate, FatCow's approach of not paying your deserved commissions is the following. They initially list a sale you've made in your CJ reports and later cancel it. In my case this happened 4 out of 5 times and you can find more details by visiting the link mentioned earlier. The above happened a couple of years ago. I tried another web hosting affiliate program after that and I had some mixed experience with it so I stopped promoting any hosting companies. Since I do not have any particular evidence that company has been doing something improper I won't include it in this review. The second part of the article recounts my experience with BlueHost and HostGator affiliate programs. Read the first part of this article introducing a common problem and my experience with FatCow here: Web Hosting Affiliate Program Research: HostGator, BlueHost, FatCow - Part 1. This month a friend of mine asked me for a web hosting provider. Having in mind the experience with the cheaper FatCow hosting I recommended to him BlueHost, whose hosting service had actually a lot of good reviews on the Net. He made a purchase of one of their hosting packages but a commission for the sale did not show in my CJ account. I asked BlueHost about it and they answered very fast asking about the primary domain of my friend's account. I wasn't able to find whether they would credit my account with the commission cause my friend decided to cancel his purchase after BlueHost temporarily deactivated his account with the requirement to submit a copy of his personal ID. It appeared that HostGator would want the same later but he didn't know at that time. So I could not tell if BlueHost were going to pay me for that sale but even if they did it, I wouldn't be happy. If I was going to promote their hosting not to my friends only, I wouldn't be able to know who and when signed up with them in order to chase my commissions. And this is not acceptable. After cancelling his fresh account with BlueHost, I referred my friend to HostGator. (Un)surprisingly they also requested a copy of a photo ID. This time he made it and sent it to HostGator.com sales team after which they reactivated his hosting account. Now about HostGator affiliate program. Similar to the experience with BlueHost, a commission didn't appear in my account after the sale was made. I asked HostGator via CJ mailing functionality but unlike the case with BlueHost, there was not an answer for a few days. I decided to ask directly through HostGator's affiliate email address and the response was considerably faster. They asked for the domain name of the claimed referral and after I provided it, they awarded the sale to my CJ account. Apparently, each of the web hosting affiliate programs has its own way to minimize the number of actual commissions it pays. This is not a big surprise having in mind how unnaturally big amounts they advertise for providing them with referrals. Obviously, if you make a broad promotion you won't be able to know the majority (if not all) of the people that sign up though your affiliate link so chances are most affiliates won't be able to complain with some firm arguments against these web hosting companies' behavior. Something more, most of the affiliates won't be even aware they are ripped off by the hosting providers. Maybe there are other companies in the area of web hosting offering lower commissions that actually pay for each sale. This is not impossible cause I haven't had any serious issues with other affiliate programs (in categories which do not pay such inflated commissions). Finally, I suggest everyone to think again if (these) hosting providers are worthy of promoting and whether they actually pay you what they advertise and have to. What they deserve is an affiliate boycott but I am not so naive to think this is going to happen. There will always be people that like and even love to be cheated one way or another. A reasonable action I can ask for though is those who have been patient enough to read until here to share this article in any appropriate place they know without spamming. Let's bring at least some awareness of these shady web hosting affiliate programs. To make a black and white film for the broad audience in the 21st century requires courage. To make a silent movie for the average moviegoer in 2011 calls for more than just boldness. To do it you have to be imaginative and inventive with a spice of craziness. Apparently, The Artist's director Michel Hazanavicius does not have any deficiency of these and he deserves respect for his risky initiative to create this movie. But what makes the story really charming is the fact his effort has proven to be a quite successful film enchanting the audiences all over the world and wining several of the most important Academy Awards in 2012. The Artist does not sport an original plot or even an original score despite its win in the category of Best Achievement in Music Written for Motion Pictures. Nevertheless the plot is decent and the music is actually very cool and appropriate for the movie. You will most probably even recall some of the melodies for at least a few days after watching the film. The rest of The Artist's five Oscars are well deserved and the movie's win in the category of Best Motion Picture of the Year is not surprising although there will be always people arguing which the most worthy film has been. Of course, it's a matter of personal preference but we can safely say The Artist is one of the better and amongst the most notable movies of the previous year. With this almost entirely silent black and white picture director Michel Hazanavicius proves to be a good moviemaker and unconventional entertainer. He has successfully managed to put in the movie simple but effective details to make his task of conquering the public easier. One example could be the presence of a cute dog and his owner's interaction with him. Another praise we own Michel Hazanavicius is for his skilful utilization of the otherwise limited in sound or color silent or black and white characteristics of the movie. For example, the story of The Artist (about a silent era movie star's struggle with the rise of talking pictures) might not be very original but it is perfect for using silence as a creative device in the film. Of course, the accessibility of an old fashioned movie to the general 21st century audience does not come only from the clever use of antiquated technologies. The advancement of filmmaking furthers not only talking and color movies but also their ancient relatives. What I mean is you won't see here a black and white picture quality on the level of the films made in the dawn of cinema. The same is valid for The Artist's audio quality. Being a 2011 movie provides for a high-grade picture and sound thus bringing the film far closer to the contemporary audience compared to the early 20th century movies, which are definitely not for everybody. The cast of The Artist is something we should not miss mentioning. The lead actor Jean Dujardin has not won his Best Actor Academy Award for nothing. He is funny, colorful and he doesn't need to speak in order to fascinate you. His partner Bérénice Bejo (receiving "just" a nomination for Best Supporting Actress Oscar) is captivating even more than Dujardin. She is convincing simultaneously as an admirer and opposition of Jean Dujardin's character. John Goodman and James Cromwell have also solid although not long screen appearances in quite suitable roles for themselves. To be objective, the movie has some flaws. There are a few moments that are a bit boring but nothing too extensive to drive you away from the film. And as already noticed the story lacks originality but this is well compensated with its incorporation into the movie's realization. It's not the plot that makes The Artist easily recommendable for everybody. It's the overall experience you get by watching a well-crafted "old" film in a 2012 movie theater. Do not expect a tribute to the silent era black and white films cause you may be disappointed at the end. Just go and enjoy The Artist for what it has to offer on the big screen. In laymen terms, the highest grossing movies are those that have done impeccable business since the time they've been first released on the big screen for the broad audience. Their success is measured by the length of the time period they've been successfully viewed in the cinemas and more importantly by the amount of revenue generated by the films. While mostly a movie's performance is evaluated by how it does business in the theaters, there are certain other streams as well that contribute heavily to the revenue. Some of these other channels include entertainment through home video, rights to broadcasting on television and various merchandising. We are going to look at ten of the highest grossing movies of all time in the Hollywood cinema while trying to find a recipe for inclusion in the top ten list. You should also note the fact, that all of these movies have grossed over a billion dollars and still earning. For reasons of inappropriate data collection of old films and inflation, only the most recent movies have been taken into consideration. If the revenue of Gone with the Wind is calculated with contemporary prices, it could easily take the top position with a safe earning of more than $3 billion. It has been the most successful film for up to 25 years after its initial release. 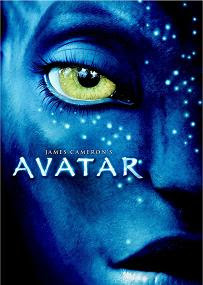 While evaluating the top scoring movies of the past fifteen years, the first position is secured by none other than Avatar, an epic science fiction American film; the movie directed, produced and written by James Cameron has done an enormous business of $2.7 billion. Surprisingly enough, following Avatar is again an epic movie created by James Cameron: Titanic. Records show that the film has done the astonishing $1.8 billion. Moving on to the next spot, the movie taking the third position with $1.33 billion is the franchise film Harry Potter and The Deathly Hallows: Part II. The next three movies following suit are Transformers: Dark of the Moon, The Lord of the Rings: The Return of the King and Pirates of the Caribbean: Dead Man’s Chest – all doing business of approximately $1.1 billion and all of them being franchises too. Animated movies have also managed to pull in a lot of fanatic viewers to the cinema for a long time now. With a dedication to quality and originality of the story, the animated films have done just as well on the box office as movies of serious nature and with live characters. So the seventh highest grossing film is none other than Toy Story 3, which has done $1.06 billion at the box office. The last three movies having a place in the top ten of the world’s highest grossing movies yet are Pirates of the Caribbean: On Stranger Tides, Alice in Wonderland and The Dark Knight, each with a revenue slightly higher than a billion dollars. By a survey of the records, it becomes evident that the franchise films are the ones, which have performed the best in worldwide cinemas. With the exception of Tim Burton's Alice in Wonderland, it seems a film should be either a franchise's episode or a James Cameron movie in order to be on the top ten list. Generally speaking, franchise films are the movies that have been made into series. So to emphasize the power of franchises even further, some of the popular series that have not been mentioned in the countdown above are Star Wars, Spiderman and Superman. And there are numerous animated franchise series too that have reached great heights of fame, like Ice Age, Shrek and the recently re-released in 3D The Lion King. The latter leads us to another notable trend. Despite all of the criticism (including ours) 3D movies receive, more than the half of the films among the top ten highest grossing movies are actually 3D films. Of course, this could be attributed to the higher prices for viewing movies in 3D but it is a trend worth mentioning and it explains why even blockbusters like Titanic and The Lion King have been recently re-released in 3D. You are welcome to read our USA vs. Non-USA comparison of highest grossing movies of all time or just continue browsing our Review Maze.